A few years back, after heavily getting back into comics, I was gifted with the book 500 Essential Graphic Novels and surprised by the breadth and depth of the selection set about bookmarking and ordering a few dozen titles. 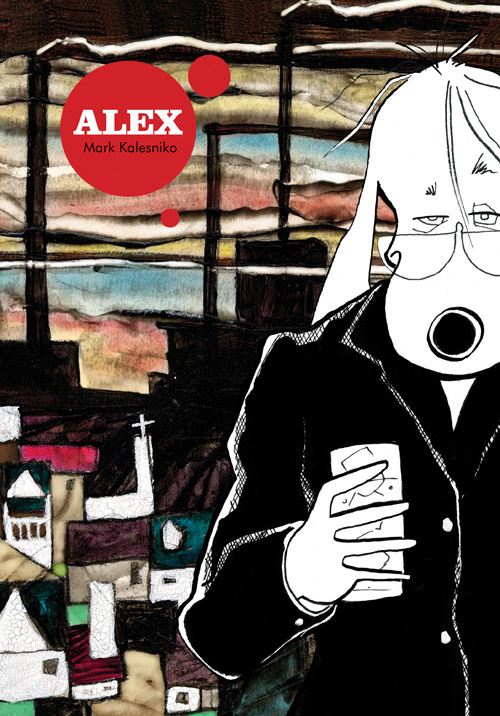 Amongst them was Mark Kalesniko’s Alex, A character I instantly fell in love with and creator who’s work I quickly consumed. Having moved back to his home town of Bandini in Canada, with his tail between his legs, after abandoning his dream of animation at ‘Mickey Walt’, Alex wakes up on a park bench, groggy from another night of alcohol fuelled self destruction. Hungover, high school yearbook in his jacket and with an expressionistic painting of the town he has no memory of. The frustrated Alex fills his time wrestling with his past, struggling with artists’ block, hard drinking, and Gilligan’s Island whilst avoiding old school friends and facing up to the unthinkable. 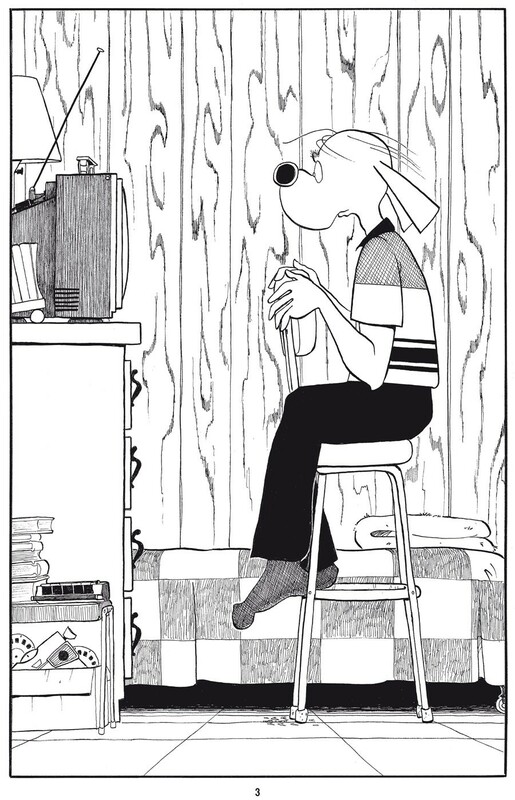 Having to be an artist, rather than a cartoonist. 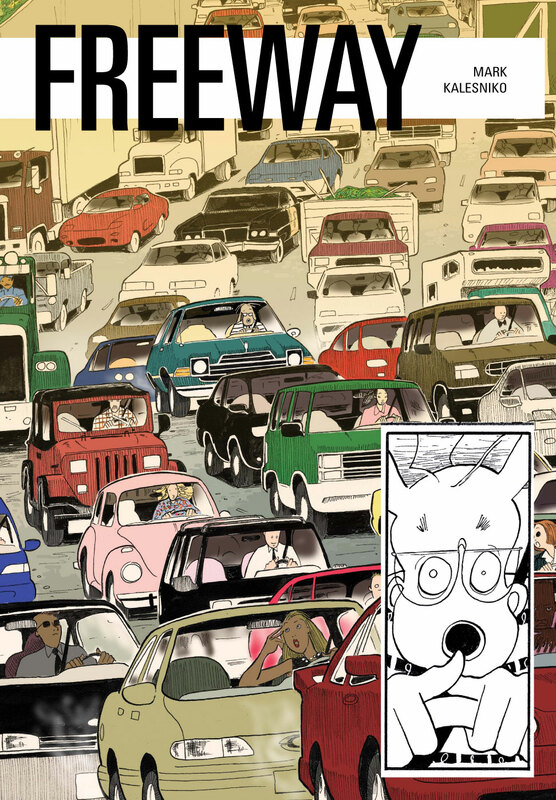 Freeway, drawn over ten years features a younger Alex in his animating career. 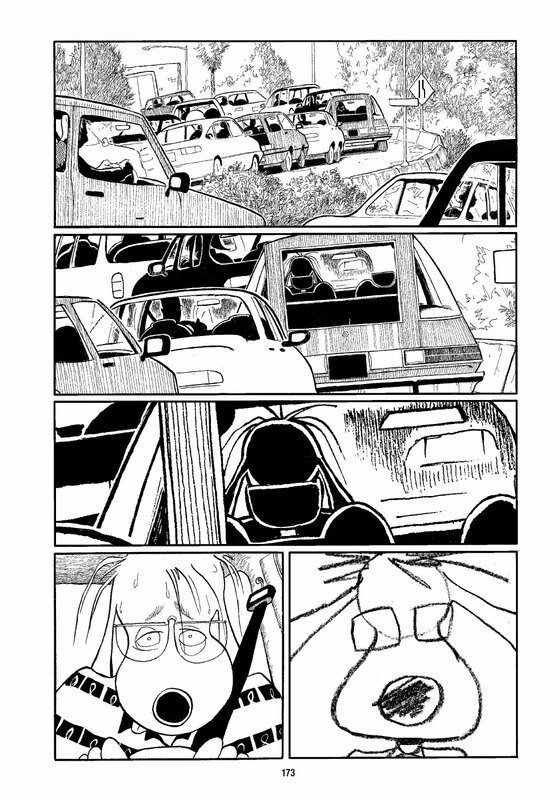 Stuck in a seemingly never ending traffic jam he reminisces about his uncertain start in LA , whilst he imagines himself living an idyllic life, back in the golden days of animation. While a lot of elements are shamelessly autobiographical in his books, after emailing Kalesniko over the course of a few weeks, he’s far from anything like his destructive stand in from his comics, and amongst one of the nicest people I’ve had the chance to talk to since starting this blog. The rest of this article is dedicated to the interview I had with him, I don’t usually say so, but he gave some great answers, and it’s one of my favourite interviews to date. 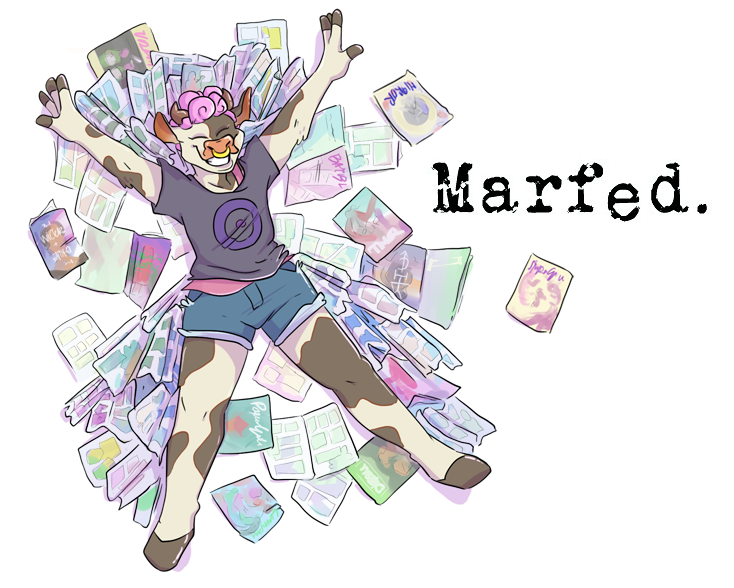 Marfedblog: I found the short Alex story ‘OCD’ funny, but also touching, it’s odd that on every occasion in other media people who have it are presented as being unaware they are doing it, or at ease with it, whereas you presented Alex as getting annoyed even with himself. Does this come from personal experience, do you share any of these traits with Alex? Are there any other of your traits you’ve imbued him with? MB: With comics like this do you find it beneficial to tackle the more serious aspects of it with humour? Do you think it’s an important part of getting information across to an audience? 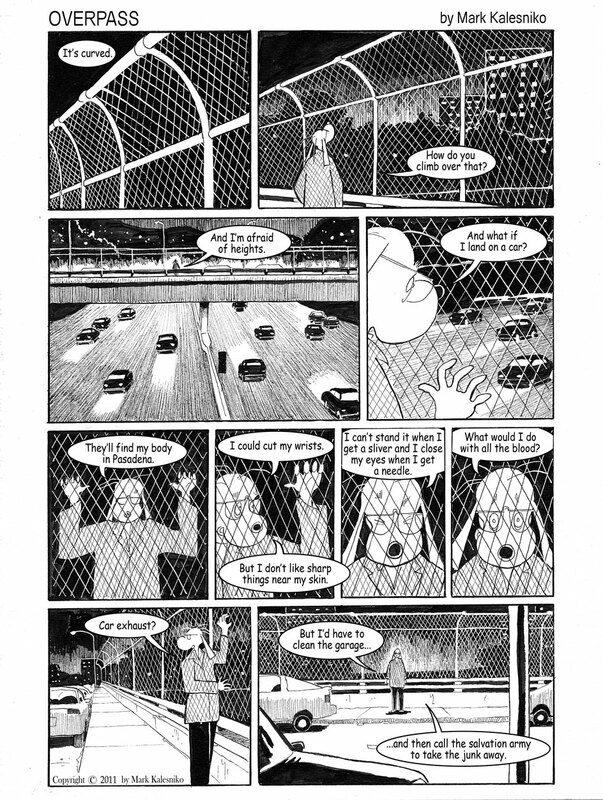 MB: Again in Overpass you write about a difficult subject, Suicide, and inject humour into it with Alex musing over the practicalities of the act. 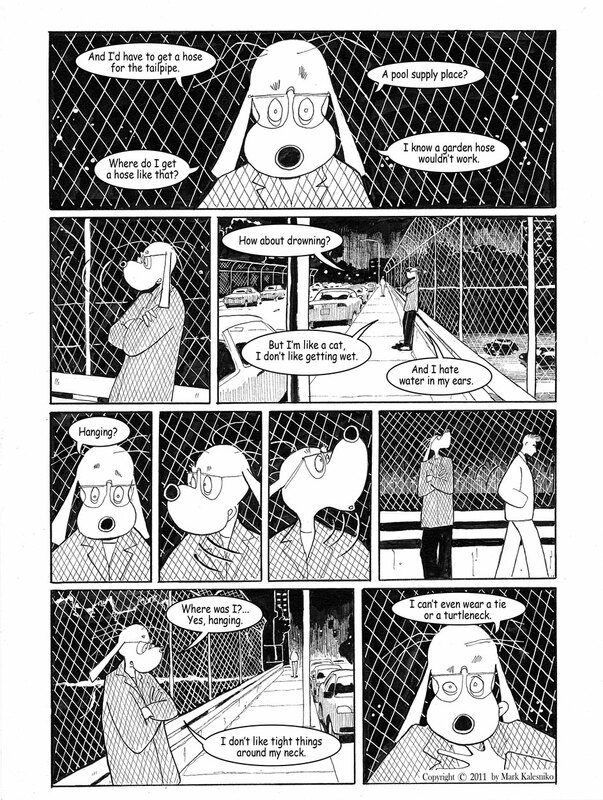 What was your intention with the comic? 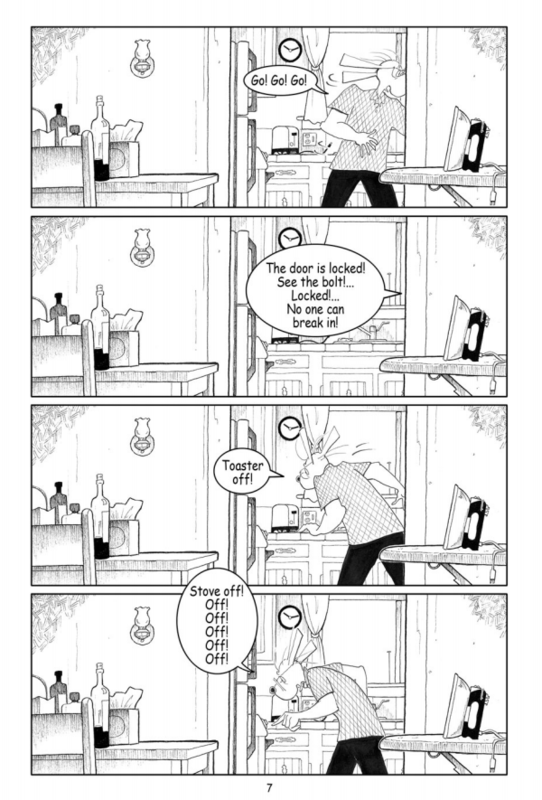 Similar to making OCD smaller in the other story? MB: How did the idea of drawing Alex as a dog come about? Is it simply to make him stand out more visually amongst other characters or is there something else behind it? MB: The shorts featured on your website, where do they fit into the ongoing story of Alex? Will the next book be set after the events of Alex or do you have another part of his life in mind for it? MB: Freeway and Alex both tackle the subject of artists working within a strict system and how stifling that can be for creativity , has this been your general experience of certain industries and do you personally see this situation changing at all? MB: Who were your inspirations when developing your own unique drawing style? MB: In Alex, he spends the book suffering from artists block, have you ever suffered from it yourself and why do you think it’s a subject that artists tend to go back to and explore in their works? Why do artists explore the artist’s block in there work? I believe it’s every artist’s greatest fear. What if I can’t come up with a new idea? What if I never create again? For myself, it scares me to death. MB: In your research for Freeway and the buildings featured was there anything surprising that came up that made its way into the story? What was your favourite to draw and why? MB: Do you have any plans for other graphic novels any time soon?